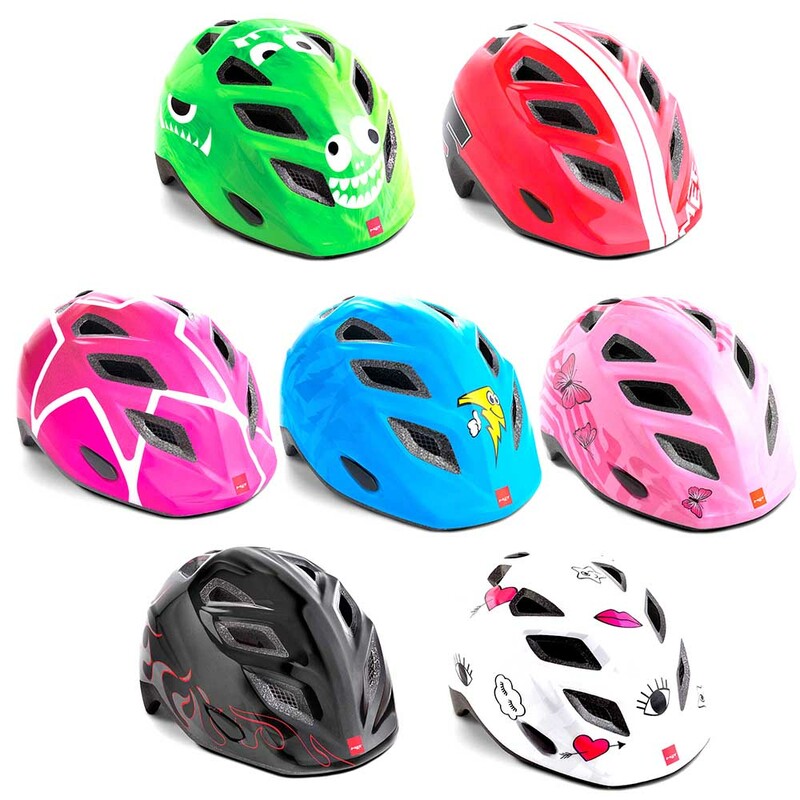 The MET Genio cycling helmet has been designed specifically for young children and features its own shape for greater head coverage than an adult’s helmet. MET have ensured that the back of the helmet is almost vertical to enable your child to sit up straight in a child seat or trailer and they have included their own Bimbi-Secure internal geometry to make sure there is no contact between the helmet and the fontanelle, the most fragile zone of a child’s head. In the event of an impact, the shock is dispersed away from this area of the skull which doesn’t fully close until after the first years of life.